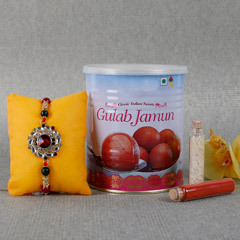 Celebrate the amazing festival of Raksha Bandhan with full fervor and excitement even if your brother stays in the city of UAE in Dubai. 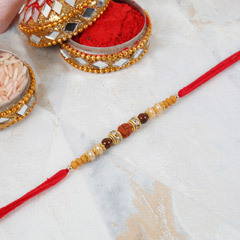 Send Rakhi to Dubai through online Rakhi delivery in Dubai from India to let your loving brother feel your love and affection even after residing miles away. 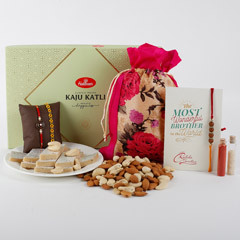 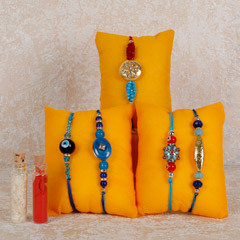 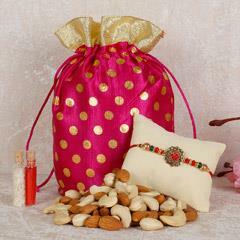 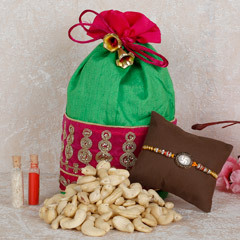 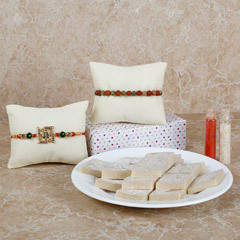 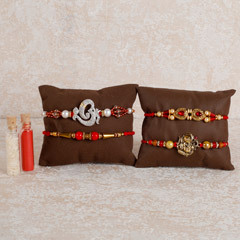 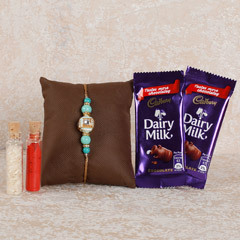 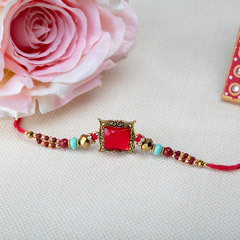 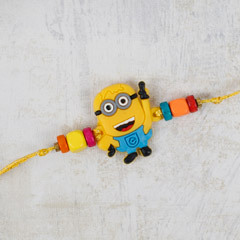 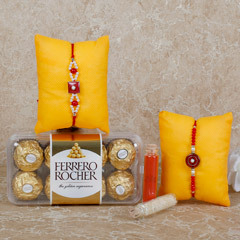 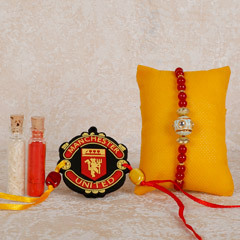 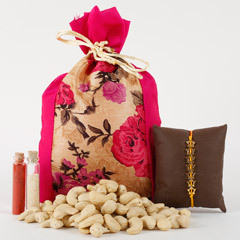 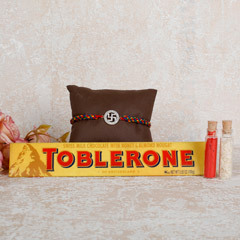 The incredible range of Rakhi and Rakhi gifts will certainly leave you amazed! 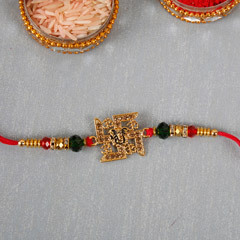 Send Rakhi to Dubai for Magnificent Raksha Bandhan Celebrations Ever! 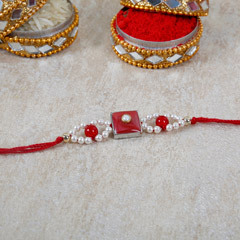 There is nothing that can express the love and affection between a brother and a sister other than a rakhi. 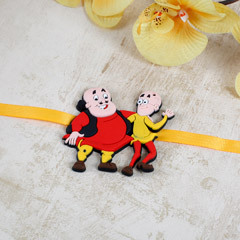 In spite of the innumerable fights over silly things, they stand together supporting with each other in all phases of life. 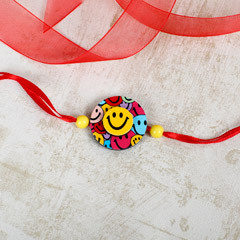 The festival of Raksha Bandhan celebrates this beautiful bond of siblings that is lifelong and full of admiration for each other. 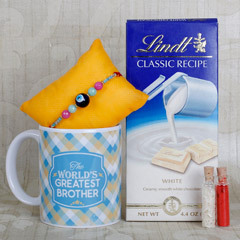 No matter how far your brother stays from you, never let the distance affect your sweet and caring relationship. 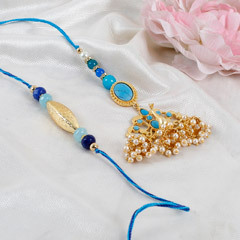 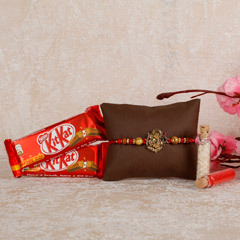 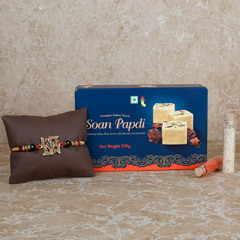 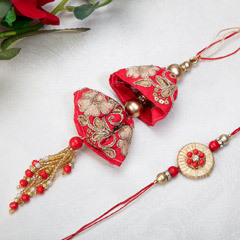 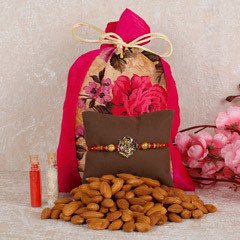 If your doting brother lives in Dubai, then send Rakhi to Dubai to convey your heartiest wishes to him on the festival. 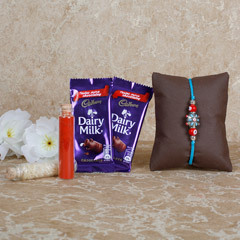 This kind of gesture from you will undoubtedly strengthen your relationship and makes it more promising. 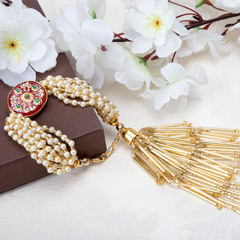 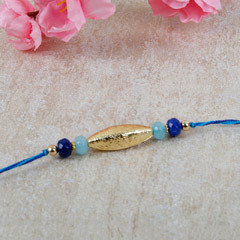 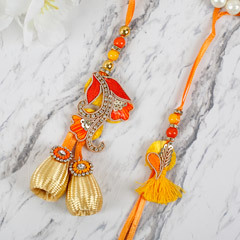 When you are looking for Rakhis of good quality and incredible designers, then Flowerdeliveryuae.ae is definitely a trustworthy online rakhi Shop in Dubai that has an amazing collection of all kinds of rakhis under the same roof. 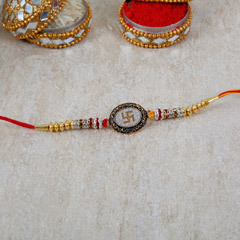 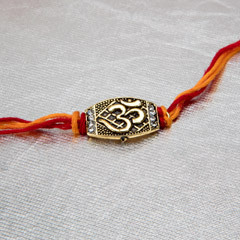 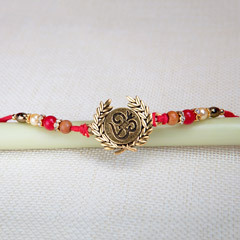 Be it a silver rakhi, bracelet rakhi, or even kid’s rakhi, this website is a rich repository of beautiful and meaningful rakhis in its incredible collection. 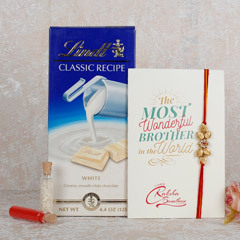 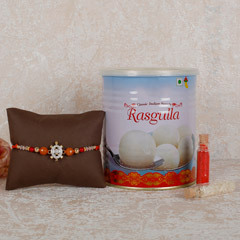 Not just rakhis, you’ll also find other rakhi gifts like Rakhi gift hampers and Rakhi gifts for sister in its gift catalog to amplify your Raksha Bandhan gifting. 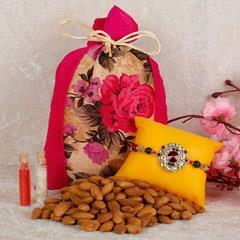 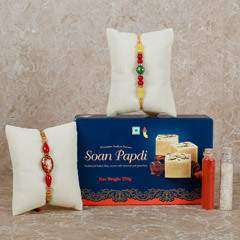 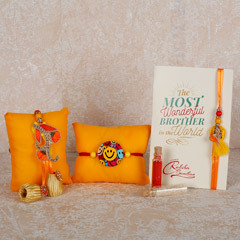 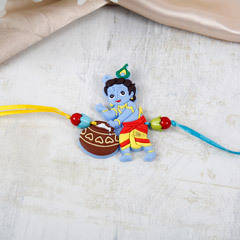 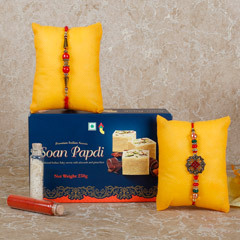 The assortment of below rakhis will be sufficient to strengthen your bond with your brother or sister. 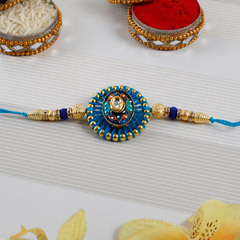 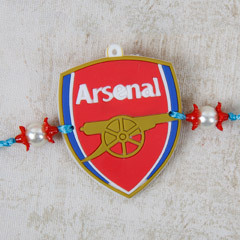 Buy these fancy rakhis at really affordable prices and send to Dubai with the help of Fancy Rakhi Delivery in Dubai. 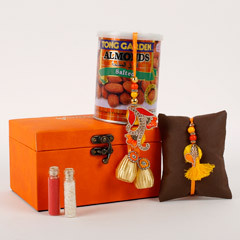 As everyone is turning a fashion freak today, so the gifting industry has also made a shift from the traditional to contemporary gifts. 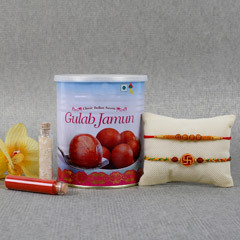 The preferences and tastes of the people are given utmost priority. 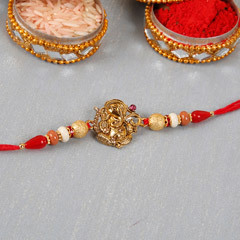 Even the festival of Raksha Bandhan has witnessed this transforming giving rise to an amplitude of designer rakhis online. 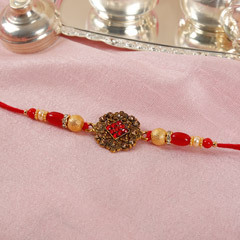 They are fancy and amazingly designed to heighten the look of the wrists on the occasion of Raksha Bandhan. 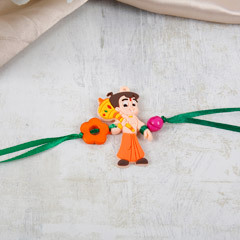 Our collection of designer rakhis are available at economical cost and also comes paired with other Rakhis gifts like chocolates, sweets and rakhi with dry fruits. 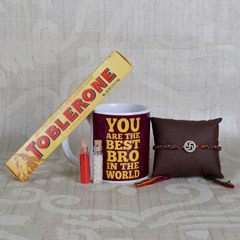 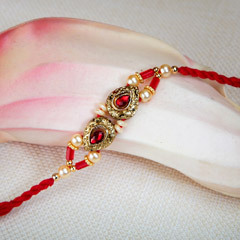 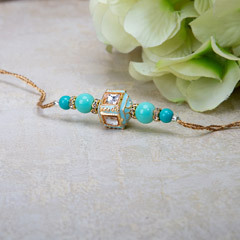 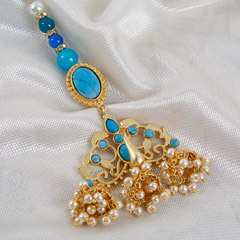 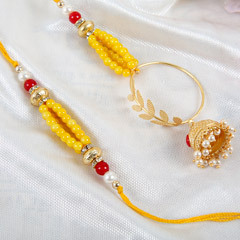 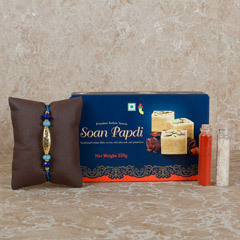 Can’t wait to indulge in the online rakhi shopping for your wonderful brother staying in Dubai in UAE? 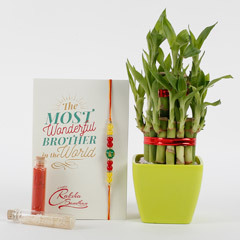 Well, to make your brother the happiest on the occasion of Raksha Bandhan, rely on Flowerdeliveryuae.ae for the rakhi delivery in Dubai. 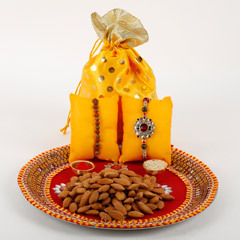 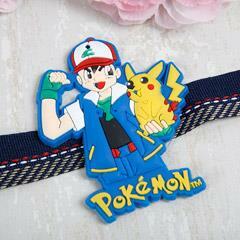 The vast range of Rakhi and Rakhi gifts at reasonable prices will certainly make your day. 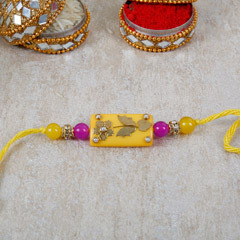 This website is updated with the latest collection of Rakhis that are trending in the markets without compromising on the quality of the products. 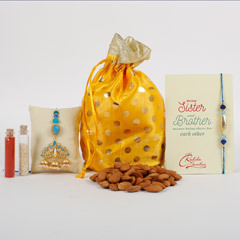 The amazing collection of rakhis and other Rakhi gifts for brother in Dubai will leave you stunned and confused. 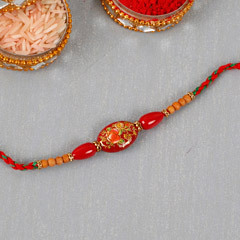 Its speedy and timely same day rakhi delivery in Dubai will help you send Silver Rakhi in Dubai to virtually celebrate the Rakhi festival. 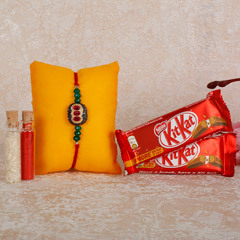 Not just in Dubai, this online rakhi store also delivers rakhis in Abu Dhabi, Sharjah, Al-Ain, and other Emirates of UAE.